Benue State Governor, Samuel Ortom, has assured that his administration was determined to ensure the enforcement of the Anti-Open Grazing Law. 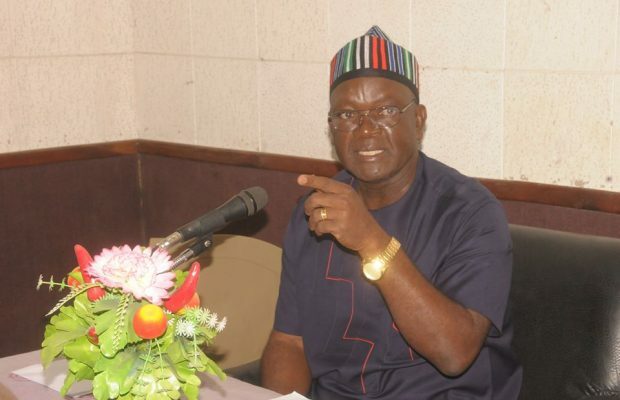 Ortom, who spoke with newsmen shortly after a State Security Council meeting at the state govenmrnt house, said he was worried over the recent threats by the Fulani herdsmen, who had vowed to resist the anti-grazing law. DAILY POST recall that the Miyetti Allah Kautal Hore, a Fulani socio-cultural association recently faulted the passed Anti-Open Grazing Law in the state, describing it as obnoxious and a recipe for anarchy. He said the emergency council meeting was convened to discuss specifically the threat from the cattle men. He said, “We assure the Benue people that as law abiding citizens and as a government that believes in the rule of law and has the mandate of protecting lives and property, we’re under authority to do what we did. We stand by this law. For us we say that this is the way forward for providing peace for herdsmen and farmers. “Our people have been killed in the last few years, thousands of them were killed, massacred and their homes destroyed because of these clashes. We challenge anyone with a superior formula that will provide peace for Benue to come out with it. We have done everything under the sun to ensure that we maintain peace in this State. This Security Council has tried so much to ensure that there is peace. “We do not want to take laws into our hands and that is why we painstakingly took time to bring this law into play. We have heard and seen the threat by Miyetti Allah over Benue State and they are even going beyond grazing by talking about their struggle for natural resources in Benue State; that they were here before we came. “We want to send this message to them that we will not accept that kind of threat. The Security Council had to be convened and we’ve decided that the Federal Government and the Acting President of Nigeria must know about this threat and action should be taken by security agencies to arrest and prosecute these people for those inciting statements. It is not right, we are law abiding citizens and as much as possible we expect that everyone living in Benue State should be law abiding. “The Bill we signed into law does not send the Fulanis away or any person grazing and rearing cattle and breeding cattle in Benue State. But we are saying that the land is no longer there for grazing and farming to go alongside so if you rear cattle in Benue State, you must ranch. “Let me say again that we’re not just talking about cattle, we are talking about livestock, so pigs, goats and other animals are involved.